Institute of Advertising, Singapore (IAS) has launched MENTORS@IAS, as part of a series of industry-wide talent initiative with the Singapore Economic Development Board (EDB). It focuses on talent attraction, retention and leadership development initiatives. 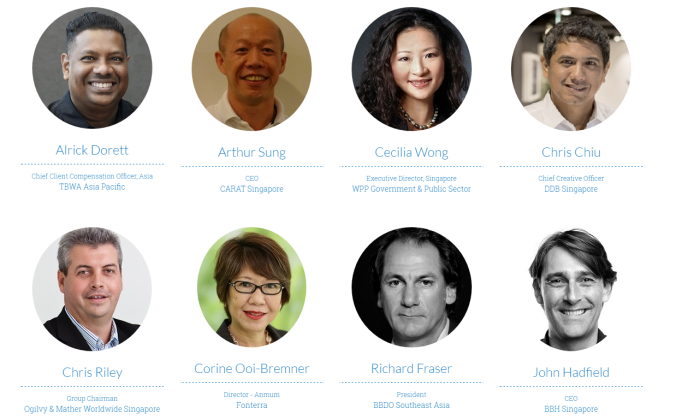 The new programme will see marketing communications professionals being mentored by 22 of the “most respected industry leaders” in Singapore for an entire year. It aims to allow participants to learn how to rise up to challenges in their careers and be better prepared for leadership roles in the future. Mentors and mentees have been paired according to their needs and backgrounds. Mentees have to be in a managerial position while aged 35 and below. 22 final candidates were then selected through face-to-face interviews with a panel of mentors, who represent diverse views from advertising, creative, client and specialist services organisations. Through the programme, both sides will meet at least once each quarter to discuss issues ranging from their skills set growth to career progression and pathways. Goals will be set between the pair from onset with learnings and progress shared and reviewed along the way. Training and facilitation sessions have also been arranged to enable effective sessions between the mentors and mentees. EDB was involved in securing commitments from industry leaders, along with affirmation of the programme. According to the IAS, EDB’s participation also marks potential to leverage the latter’s own communication platforms to profile industry-wide talent efforts. The short term effectiveness of the program will be measured through completion rate, which monitors feedback on improvements in areas of motivation and engagement, ability to identify personal strengths, ability to balance career and lifestyle issues, and better understanding of a mentee’s own aspirations. In the longer term, IAS will be tracking the career of participants in terms of promotions and changes in roles. “In response to intensifying competition for talent, the marketing industry needs to band together so as to better attract, retain and develop the best and brightest as leaders for tomorrow. In that regard, the EDB is highly encouraged by the initiative of the IAS and visionary industry leaders in making the MENTORS@IAS a reality. We look forward to more of such industry-led efforts,” Clarence Chua, director of professional services at the EDB, said. “The changes faced in the industry will be a constant and to be on top of the game, we need to be connected and nimble. IAS is honoured to have EDB as its partner to help fast track our young talents to ensure the vitality of the industry,” Shufen Goh, president of IAS, co-founder and principal of R3 Worldwide, added. In addition to MENTORS@IAS, EDB and IAS have also collaborated on the following programmes aimed at young talents for the marketing communications industry. These programmes include Careers Fair, a marketing communications careers fair targeted at undergraduates and graduates and UPSTARTS, a graduate placement programme. For the full list of mentors, click here. The range of sandwich biscuits, wafers and butter cookies include unique flavour combinations such as cheese, matcha tea and chill..
After winning a competitive pitch, MaLogic will conduct extensive research and a branding study to facilitate the school's expansi..